Meet UNTAMED® T-REX from WowWee! Today is Ferocious Friday and Fingerlings has a new kid in town. I am sure by now you have heard about Fingerlings-those cute toys that kids put on their fingers, that talk and make cute noises. I had Gigi the baby unicorn on my holiday gift guide last year. 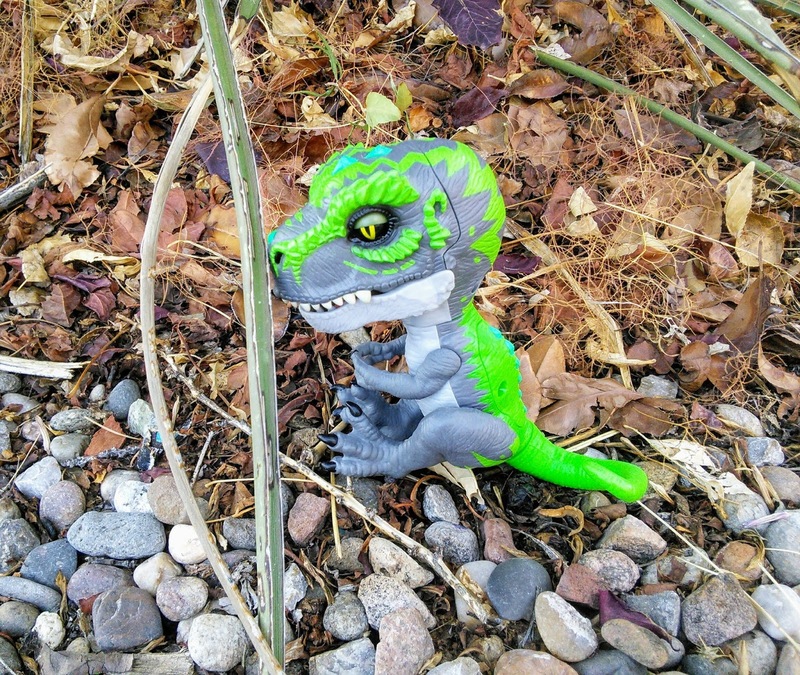 Well, now Fingerlings has finger gripping Untamed Raptors and my boys had the opportunity to play with UNTAMED® T-REX. 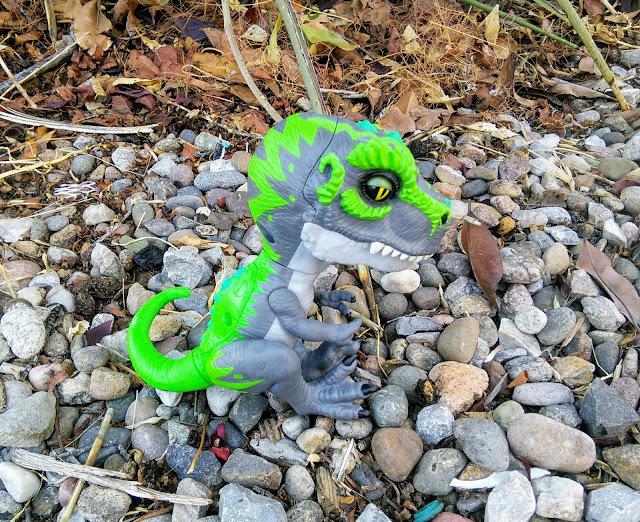 This ferocious T-Rex is the new kid in town and like the other Fingerlings, this dino makes sounds and has some cool animations. T-Rex comes complete with snapping jaws and gripping claws and he reacts to touch, motion, and sound. My boys loved that he had over 40 different sounds and animations. This wild dino has two modes, tamed and untamed. In the ferocious untamed mode, T-Rex roared, hissed, and chomped when my boys talked and touched him. In the tamed mode, T-Rex was a friendly dinosaur and he purred. My boys had a blast checking out all 40 sounds and animations. You can find these T-Rexes at retailers nationwide and they are great for kids ages five and up. Check out this video that the boys made. I am sure that you will fall in love with these fierce and unpredictable "King of the Dinos" creatures. 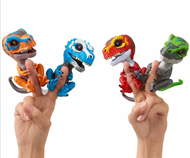 Celebrate #FerociousFriday and check out all 4 of the New WowWee T-Rexes from Fingerlings. Make sure to visit my website in two weeks to meet Fingerlings® HUGS™, another awesome new interactive toy from Fingerlings. My boys will help me review this fun toy that is going to be an awesome holiday gift for my new grandbaby that will be born later this month. I've literally never heard of these before but my students would absolutely love these! It would be a great way to engage them during group time. My daughter is obsessed with these fingerling toys! That Dino looks like it is a really cool one and I think she would love it! These are some new ones for me. I can see how these could get some kids hooked quickly. They look so cool. My nephew can name all type of dinos and his favorite is t-rex. I really want to get one for him for his birthday. I have never heard or seen these toys. One thing is for sure though they seem totally adorable to me! These would be a great gift. That looks fun and quite interesting. I've seen the one with monkeys but I've never encountered a dino one before. Well, I know what my daughter will be asking for soon. She loves fingerlings, so I'm sure she'll be asking for this awesome dude. Looks fun and something that can keep them entertained. This is super adorable. My son will sure gonna love this little boy. this would be great idea to give to my little cousin he loves dinasours and would flip for these. I like that they encourage imagination. This is fun play. I bet my grandbaby would love it! We just saw these at the store the other day. My kids were having fun playing with them. Oh wow, this is so cool! I've never heard of these before. I know my daughter would have liked these when she was younger. They are pretty darn cute. Aw! This are adorable! My kids would love them!